Lightwater Valley’s annual Halloween celebration ‘Frightwater’ has been named one of the best events in Yorkshire. 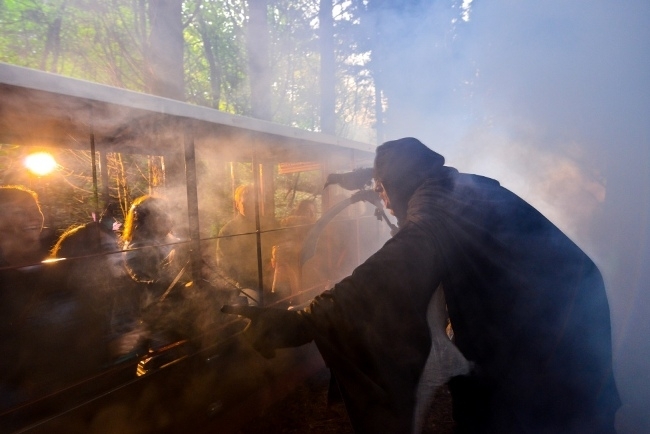 The theme park in Ripon is in the running for a White Rose Award due to the success of Frightwater Valley, a yearly event which sees the attraction embrace all things ghoulish in the run up to Halloween. Last year the event attracted 21,000 visitors across the three-day festival. The awards are the UK’s largest celebration of tourism and Frightwater has been nominated in the category of Best Yorkshire Event. Jane Oswald Lightwater Valley’s head of marketing said: “We’re thrilled to be named as one of the region’s top events. Frightwater is aimed at the family market in the daytime, but once the sun goes down it’s only for those who like to be truly terrified! The awards ceremony will be held later in the year. This year’s Frightwater Valley event runs from the October 27 to 30.